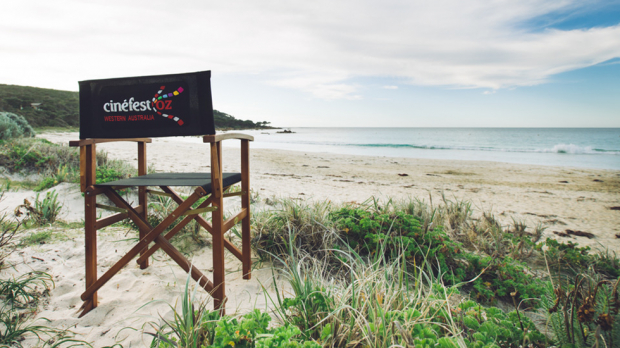 Celebrating ten years of bringing film lovers and film makers together in the stunning south west of Western Australia, CinefestOZ 2017 was simply spectacular. Picture five days of films in our fabulous wine country, rubbing shoulders with some of Australia’s brightest stars on the red carpet, feasting on local fare and indulging in the state’s finest wines, and you’re getting close. There is a very special brand of magical experience that only CinefestOZ can provide. The stage was set for a grand time from the magnificent opening night party, featuring Ben Elton’s locally shot Three Summers, and rolled on in that vein for the duration. This year offered no less than 95 film and event options over five days, including nine Australian film premieres, of which seven were world premieres, and 35 WA premieres, across 37 venues from Bunbury to Augusta, and a multitude of free community events, IndigifestOZ, side bars, lunches, In Conversation opportunities with film makers, and various industry events. It’s a dizzying array of endless entertainment and a veritable buffet for the senses. Rubbing shoulders with the stars is clearly part of the allure of CinefestOZ, and this year’s attendees were an array of the talented and truly wonderful, including Ben Elton, Kelton Pell, Jaqueline McKenzie, John Waters, Mark Coles Smith, Luke Ford, Scott Hicks, and Eddie and Jacqui Baroo. Four nights of fabulous films culminated in the eagerly awaited Gala night. The evening opens with glamour as stars and local personalities strut the red carpet in their finest, before the screening of three magnificent short films. A short intermission and time for refreshments preceded the eagerly awaited presentation of the 2017 CinefestOZ Film Prize. Australia’s biggest film prize of $100, 000 is nothing to sneeze at, and was up for grabs for the fourth year running. The 2017 contenders included heavyweight hitters Ali’s Wedding, Jungle, Three Summers and Australia Day. Judged by an industry jury and chaired by internationally acclaimed writer and director Scott Hicks (Shine, Snow Falling on Cedars), crowd-pleasing comedy Ali’s Wedding were declared the clear winner. Hicks later stated that, “given the strength of the competition and robust deliberation, it was a great surprise that when we took our first toll around the table, the Jury choice was unanimous”. As with each night of the festival, the closing party was filled with wine, dancing, and frivolity – while supping on delicious canapes, served by the ever attentive volunteers. The multitudes of volunteers happily return each year to assist in the smooth running of every aspect of the festival. Much of the beauty of Cinefest derives from this special brand of local involvement and support. From the moment guests arrive at the outskirts of Busselton, they were greeted with a local school’s sign of welcome. Busselton natives excitedly noted celebrities who had attended their stores or they had passed on the street that day. If guests missed one of the many free shuttle buses, locals offer to ferry them to their destination. The warmth from the community is palpable, their hospitality genuine and readily provided. CinefestOZ is truly one of the crowning jewels in our state’s cultural highlights and a cornerstone of Australian film. If it hasn’t made it onto your bucket list, and you’re a lover of film and having a phenomenal time with extraordinary people, making new friends and just generally getting fabulous in wine country, assess your priorities and join the sojourn to the south west in 2018. Good times and lasting memories are guaranteed.